Adriana Albritton is the Founder of A FIT WELLNESS and FIT N ALL. This Colombian native is a Fitness Wellness Mentor and NPC Figure Competitor. Adriana was involved in the mental health field over the years. She specialized in populations involved with the criminal justice system, treating perpetrators of crime as well as victims. She witnessed the negative effects that an unbalanced mind has on the body and its surrounding environment. Later on, she recognized the awful repercussions that an unbalanced body has on the psyche. Nowadays, she enjoys steering clients towards healthier lifestyles, while helping them to lose body fat. She assists them in recognizing and utilizing their full potential. 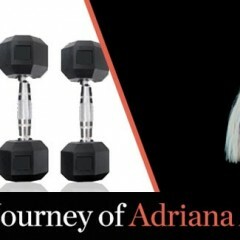 Adriana with A Fit Wellness, and her blog Fit n All, integrates the purpose of achieving a healthy mind along with a fit body while cultivating a healthy internal environment. Follow her on Linkedin, Instagram, & Twitter.